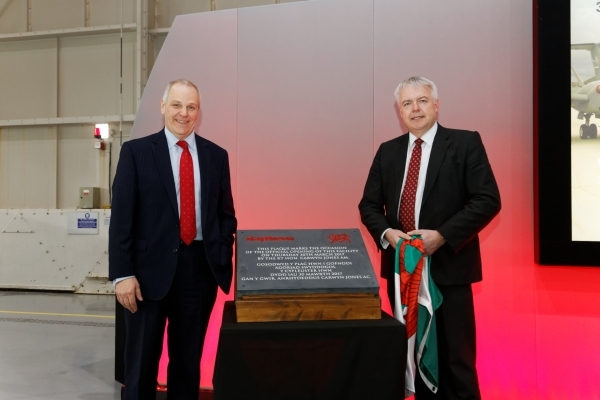 Raytheon UK, the prime contractor and major supplier to the UK Ministry of Defence has opened its new facility in North Wales. 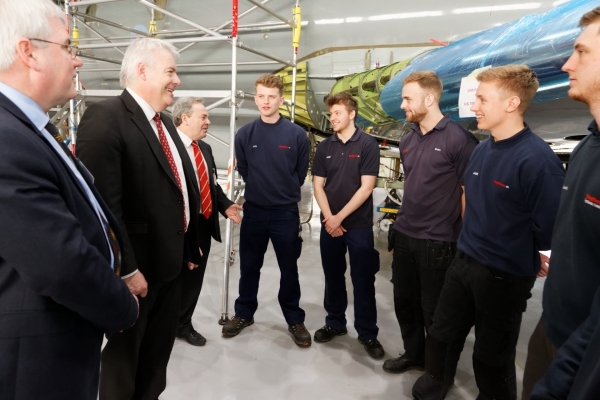 First Minister of Wales, Rt Hon Carwyn Jones, was present at the official opening of Raytheon’s new Hanger 119 at Hawarden Airport. Raytheon UK and the Welsh Government have invested £1 million in this new hangar where 145 employees are supporting the MOD’s flagship ISR programmes. The new facility will foster the development of new, cutting edge capabilities and ensure that the company will continue to make a significant contribution to the local economy, for many years to come. “The new facility gives us tremendous potential andwill enhance our economic impact in the region, where the company has contributed since 1993,” said Richard Daniel, Raytheon UK chief executive. “We have created around 50 jobs in Broughton over the past 18 months, and anticipate the need for a further 200 over the next three years depending on export opportunities”. Raytheon UK is a global leader in the Airborne ISR (Intelligence, Surveillance and Reconnaissance) domain and is developing new Special Mission Aircraft mission systems at their Broughton Centre of Excellence and deep servicing hub. The company have developed strong capabilities in mission systems integration in defence, national security and commercial markets. Raytheon UK also designs, develops and manufactures a range of high-technology electronic systems and software at facilities in Harlow, Glenrothes, Gloucester, Waddington and Broughton.